Want a clever way to make your kitchen look and feel bigger Our visually striking red sliced pebble stone tile will create a dynamic backsplash in any room. For a distinctive appearance, add this tile to a fireplace surround and watch the room literally light up! Size: 12" x 12" Coverage area: 1 sq. 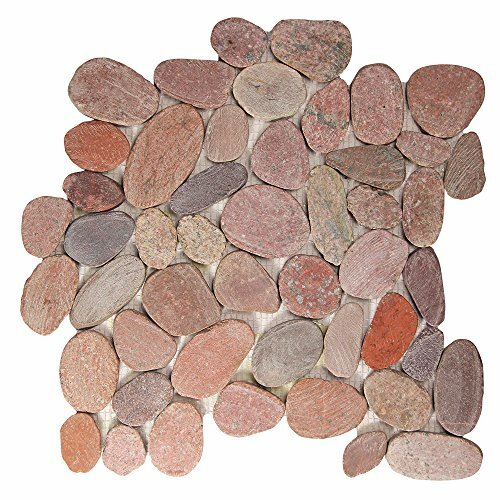 ft. Color: Red Material: Pebble stone Thickness: 8mm This tile is mesh mounted.